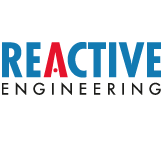 Reactive Engineering has extensive experience in the process and packaging industries, and can undertake complete projects from conceptual design through to commissioning. Our projecting people work with the Client in developing the initial process unit operations, preliminary equipment selection, budget cost estimates and timelines. We produce process flow sheets, size of equipment, and utilities, and identify potential issues ie regulatory, GMP, HACCP, HAZOP or budgetary. This process can also incorporate a feasibility study to establish economic and financial analysis. Comprising detailed mechanical and electrical design, equipment sourcing, detailed P & I D’s, piping and packaging layouts, interfaced with building and architectural constraints. Because of our ability to source used machinery, Reactive Engineering can incorporate a mixture of new and reconditioned used machinery, to assist in reducing costs, and shortening delivery programmes. Reactive Engineering uses a wide network of associates who are specialists in their field, to assist us in rebuilding used equipment, as well as with the installation and commissioning of the same. We undertake the project management to ensure that the project is finished timely and to budget.